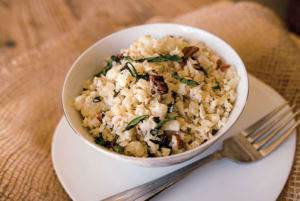 This tasty cauliflower rice has only five ingredients but it packs a flavorful punch. And, it’s ready in less than 20 minutes! Enjoy it on its own, or with any of the 131 recipes found in the new The Eat to Live Quick & Easy Cookbook by Joel Fuhrman, MD. Shakes are an important item in our wellness toolbox. 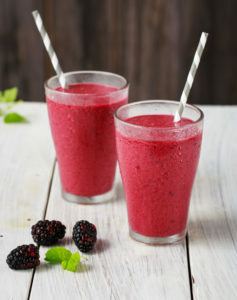 Having a breakfast shake a few days a week is a simple way to provide your body with more water and easily absorbable nutrients and to reduce the work of the digestive system. 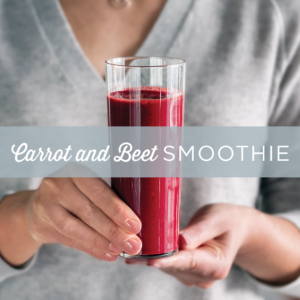 Try this easy shake recipe. 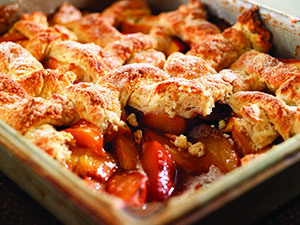 “Peach cobbler is synonymous with summer,” says Art Smith in his cookbook, Art Smith’s Healthy Comfort. 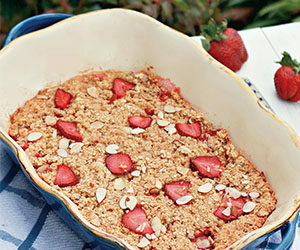 So as your plan your Fourth of July celebration, bake up this dessert with some of summer’s ripe fruit. Vanilla ice cream is not optional. Hot summer weather means it’s melon time! 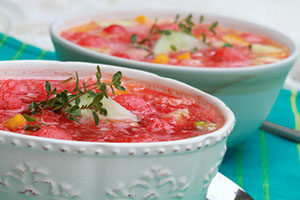 Try this Watermelon Gazpacho from Dr. Joel Fuhrman’s Eat to Live Cookbook as a cool, seasonal first course or a light and refreshing lunch. Get the recipe. Natural oatmeal sweetened with agave syrup and topped with some milk and berries is a healthy way to start the day. On weekends make oatmeal a little more fun by baking it with fruit and nuts. Strawberry rhubarb is a combination that highlights some of the s fruits and vegetables you’ll find in the market right now! 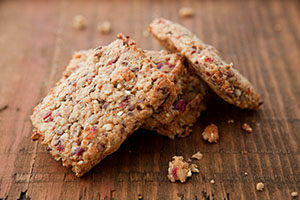 The delicious Barn Bar, from Appetite for Life by Stacey Antine, is high in heart-healthy fats and fiber. Parents like this simple hungerbuster for any time of day, but it’s especially good as a morning snack and would no doubt make an excellent addition to a picnic basket.